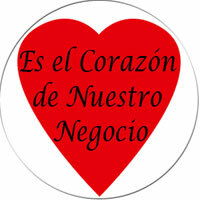 Heart of my Business Stickers (spanish). Es el Corazon de Nuestro Negocio. 63 one inch round stickers.